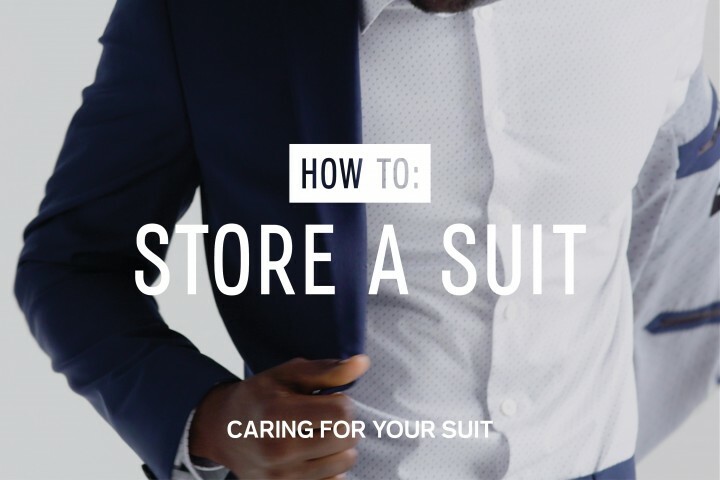 Spoiler alert: The proper way to store a suit is not to throw it across the back of your couch. 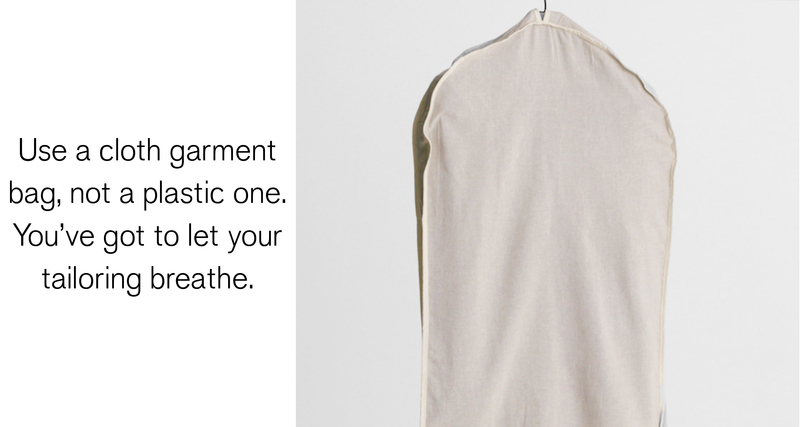 Or hang it on the back of your door over a damp towel. 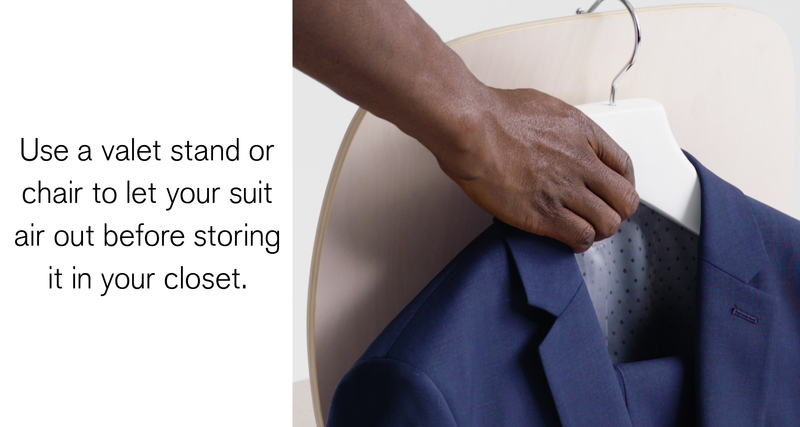 Or roll it into submission in a drawer, as if packed away for a trip. But also, like, we get it; we’re busy too. 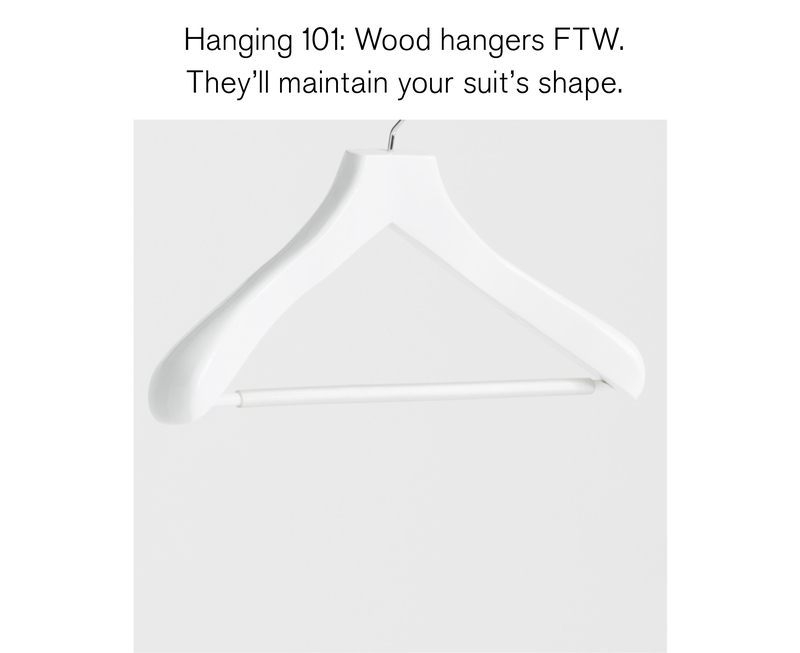 The good news is that hanging your suit properly is as easy as all of those other ways of storing it, maybe even easier. 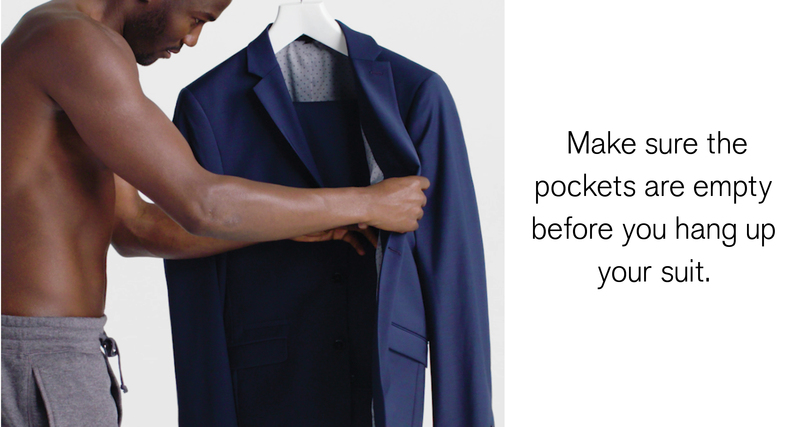 Empty the pockets and hang it up on a valet stand or chair overnight to air out. 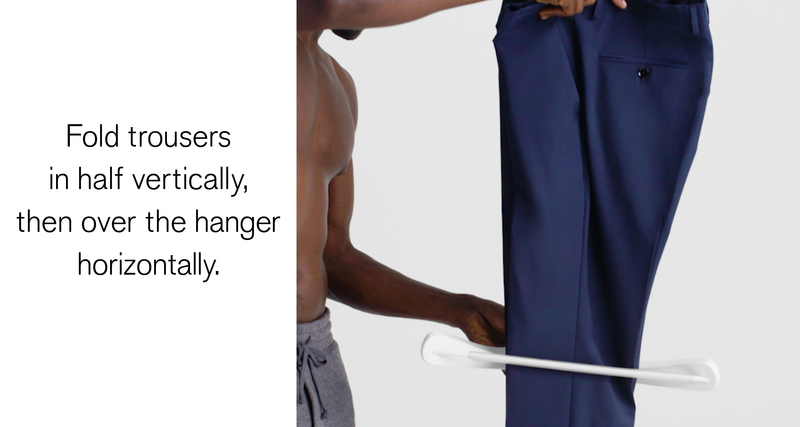 Then pop it into a cloth garment bag using a wide, wooden hanger, which will protect your suit without suffocating the darn thing. Here’s a handy visual so you don’t forget the routine. 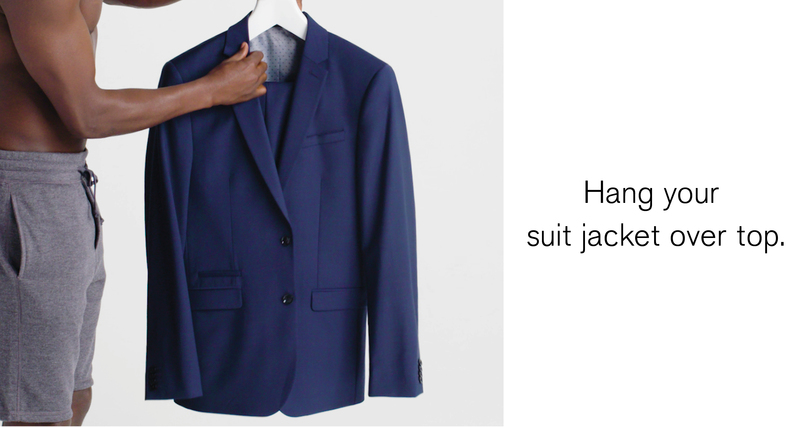 READ MORE: Need to pack a suit? 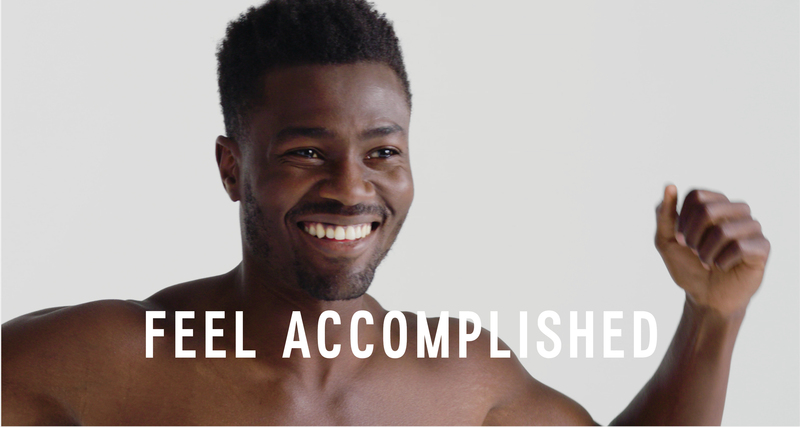 We’ve got a how-to for that too.